Rabbi Fuss and volunteers visit the area prisons to spend time with the Jewish inmates in Torah discussion group, putting on Tefillin and holding a prayer service. Before and during holidays we have special services and programs. Visits to area correctional facilities serve as a vital link to the outside community for incarcerated Jewish inmates. Many of our brethren are using this very difficult and unfortunate experience as an opportunity to discover their roots, and turn over a new leaf, thanks to the encouragement and support of these visits. We seek to bring life and spiritual movement to one's soul; to bring a sense of purpose into one's existence. 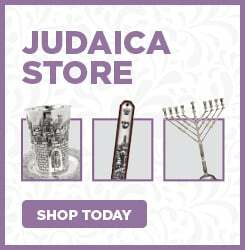 By showing a person's connection with the entire Jewish people, with the Torah and with G‑d, it offers a glimmer of hope, helping the individual endure the days and the nights, the inner isolation. We are always ready and prepared to lend a helping hand to the individual and his or her family, seeking out and focusing on the goodness within. 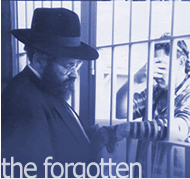 The teachings of the Torah help a person become a healthy minded individual who knows that he or she has a vital part to play in the universe - even from the confines of a prison cell. This is also a preparation for eventual re-entry into society. If you know of anyone who could use a visit click here or call at 951-222-2005.